24” tire recommendations and sources? 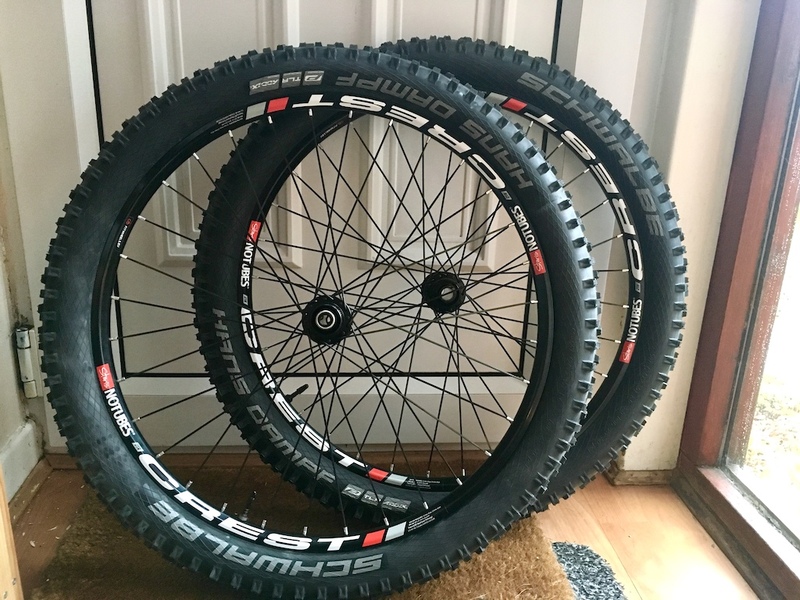 Thread: 24” tire recommendations and sources? I am building up a 24” full suspension all mountain rig for my son. I have one decent 24” tire from one of the euro sites that i bought a couple years ago (cant recall the brand but its 2.5” and labeled for back). Anything domestic i can pick up quickly? Using a 26” fork up front so no worries on clearance (the 2.5 i have fit the fork just fine). What are some options and where can i get one relatively quickly? Best I've seen are Spawn Maxtion 24 2.3 in. They have legit side knobs and are only 540g for a 24". Crown Vee Gem is a less aggressive and cheaper option that looks nice. Vee Crown Gem 24X2.25. You can find them all day on ebay. schwalbe do the hans dampf in 24x2 35. Got them on my son's NSclash JR build. Thanks, I ordered one of those. I already have a Schwalbe Fat Albert 24x2.4 from bike 24 for the rear. This will be excellent on the front and in stock at Amazon with 2 day delivery. Once you get them mounted, I would have a look if you want to keep them that way. In general Fat Albert is more aggressive than Hans dampf, so you might want to switch. Just have a look at the tread pattern and see which one looks fast rolling and which looks to offer better cornering. I actually could get away with the Fat Albert on both front and back, but thanks for teh suggestion, after fiddling around with them I think I will put the Fat Albert on the front and the slightly lower profile Hans Dampf on the rear. The HD arrived today, looks great. I just put Rocket Rons on my sons bike. I like the aggressive quality of the Hand Dampfs. What is the weight? My daughter’s old 24” bike has an RR on the back and it is nearly 10mm narrower on a similar rim to what i have the HD mounted on. The RR looks demure next to the HD, even smaller next to the fat albert. If the bike is for true trail riding and can fit the larger tire, I’d move to the HD regardless of increased weight over the RR. Best sources for FOX DIY Suspension rebuild parts and info?